Balaghat District is located the south eastern portion of the Satpura Range and the upper valley of the Wainganga River. The district extends from 21°19 to 22°24 north latitude and 79°31 to 81°3 east longitude. The total area of the district is 9,245 km². Balaghat District is bounded by Mandla District of Madhya Pradesh to the north, Dindori District to the northwest, Rajnandgaon District of Chhattisgarh state to the east, Gondia and Bhandara districts of Maharashtra state to the south, and Seoni District of Madhya Pradesh to the west. the Main language spoken in district is Hindi, Gondi in Baihar Ukwa, Lodhi in paraswada, Northern parts of Balaghat tehsil and Bharveli, Kalari in Lanji kirnapur, Pawari in western parts i.e. Waraseoni, Katangi Lalbarra and Marathi in the southern part of district. The Wainganga is important river of the district. The southern part of the Vindhyan Range up to Katangi is called Lower Bhander Range. Beyond this point the escarpment enclosing the land-locked valley of Sirampur and the hill range in continuation is called the Kaimur Range. No e-circular found for reply. About KVK- Krishi Vigyan Kendra, Betul was established in April 2002. The KVK is working to bridge the gap between production and productivity and to increase self employment opportunities among the farming communities. The training offered here follow the principals of “learning by doing” .It offers skill and knowledge oriented trainings in multi-disciplinary areas like crop production and plant protection, horticulture, animal science and fisheries, Home science and agriculture extension. The KVK is the light house of knowledge to the farming community of the district. The basic mandates are (1) Conducting "On Farm Testing" for identifying technology in terms of location specific sustainable land use(2) Organize training to update the extension personal with emerging advances in agriculture research on regular basis (3) Organize short and long term vocational training courses and allied vacation for the farmer and rural youth with emphasis on "Learning by Doing" for higher productions on farm and generating self employment (4) Organize "Front Line Demonstration" on various crops to generate production data and feedback information. 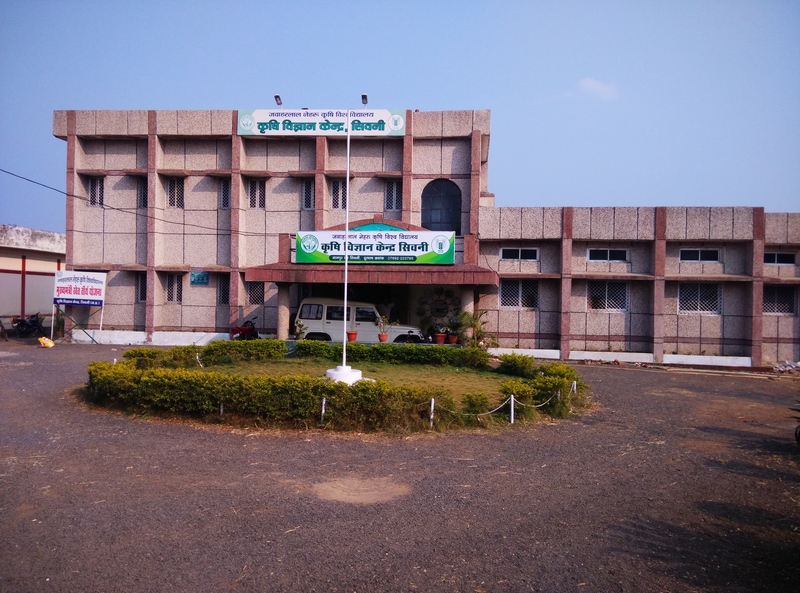 Krishi Vigyan Kendra, Chhindwara was established on 27.04.84 under the auspices of Jawaharlal Nehru Krishi VishwaVidyalaya, Jabalpur. The core principle of the center is that the coordination between farmers, agricultural women, rural youth, extension workers and scientists should be established in such a way that the spread of technology can lead to rejuvenation and mutual trust in the transformation and adoption. The scientists of the center establish cordial contact with the farmers so that the farmers can get the proper solution of their problems. KVK takes care of farming community with addition of technical knowledge and work efficiency by adopting the principle of learning by doing. Programs for farmers, landless agricultural laborers and women in line with the area are prepared which can increase their income and raise their standard of living. Indian Council of Agricultural Research, New Delhi has prescribed mandates for successful and effective operation of agricultural science centers, which is as follows: 1. On Farm Testing of recommended research techniques on farmers farms and improving the situation. 2. Demonstrating new agricultural techniques of oilseeds, pulses and other crops on the farmers’ fields. 3. To conduct inter-session training for extension workers of various departments. 4. To impart ON and OFF campus training to rural youth, farmers farm woman on improved technology of agriculture. 5. Knowledge resource centre for all agricultural activities. Damoh is a district of Madhya Pradesh State located in Central India. The district is part of Sagar Division. It is situated in the north-eastern part of the State and geographically located at 23 deg 09’ North Latitude and 79 deg 03’ east Longitude. The district is surrounded by Sagar in the West, Narsinghpur Jabalpur in the South, Chhatarpur in the North, Panna Katni in the East. 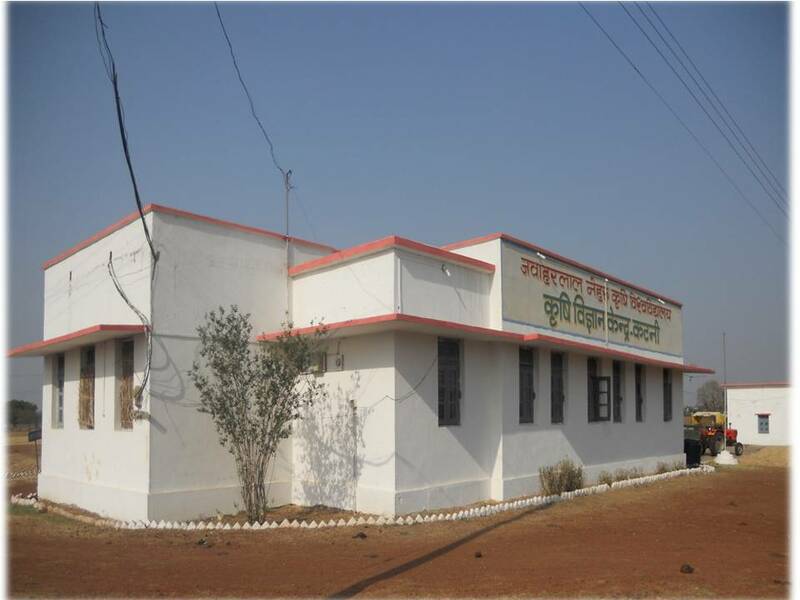 Krishi Vigyan Kendra, Damoh was established in the March 2005 funded by ICAR New Delhi with the aim to transfer the refined agricultural technologies for cost effective enhancement of agricultural production and to empower the weaker sections of the society for livelihood security. Besides the immense contribution in socio economic upliftment of peasants, provided vocational trainings not only in agriculture but also in other self reliant, income generating activities enterprises such as tailoring, candle making, bakery products, fruits and vegetable preservation. Innovative programmes like e-linkage, kisan mobile sandesh, crop cafeteria, technology park, meadow orchard, rejuvenation of old orchards, development of scion bank, adoption of SRI in paddy and ridge and furrow system of planting in soybean etc. In short the aim of Krishi Vigyan Kendra is to reduce the time lag between Generation of technology at the research institutions and it’s transfer to the farmer’s field for increasing production, productivity and income from the agriculture and allied sectors on a sustained basis. Krishi Vigyan Kendra (KVK),Jabalpur was established in the year 2004 funded by ICAR with the aim to transfer the refined agricultural technologies for cost effective enhancement of agricultural production and to empower the weaker sections of the society for livelihood security. Activities of KVK : 1. On-farm trials to identify the location specific technologies in various farming systems 2. Front line demonstrations (FLDs) to establish production potentials on the farmers fields 3. Training of farmers and farm women to update their knowledge and skills in modern agricultural technologies and training of extension personnel to orient them in the frontier areas of technology development 4. Work as resource and knowledge centre of agricultural technology for supporting initiatives of public, private and voluntary sector for improving the agricultural economy of the district. 5. Create awareness about frontier technologies through large number of extension activities like farmers fair, field day, strategic campaign, ex-trainees meet etc. Krishi Vigyan Kendra Narsinghpur has been established in the year 2004.It comes under Agro Climatic Zone	VI Central Narmada Valley. It has six blocks and five tehsils. Soil Type of the District is Medium Black Soil. Geographical Area of district Narsinghpur is 513651 ha, Net Sown Area 308785 ha., Area Under Forest 136207 ha.,Fallow Land 9200 ha., wast Land 14600 ha., Irrigated Land 198347 ha., Area Under Kharif Crops 115878 ha.,Area Under Rabi Crops 263932 ha.,Cropping Intensity	137.48 %. Total Population	of district is 1092141. Impact of KVK: (a)	Package of improved practices of pulseoil seed crops (i.e .Varietal, INM,IPM,IDM proper spacing practices) provided adopted technology in 30% area of the district,on average yield incease 4-6 qtlha (additional income Rs 10,000- per ha) and overall monitory gain 70.5 crore annually. (b)	Technology provided to control top shoot borer(cabofuran30kgha)and pyrilla(Malathion500 mlha)along with other IPM practices in sugarcane. Technology adopted by more than 40% farmers and gain 3-5 tonne additional yieldha with Rs 6000-10000- net incomeha . (c)	Farmers motivated for balance nutrient application including Zinc Sulphur specially on soil test basis. More than 5% of the farmers(5000 farmers) using soil test basis nutrient application. (d)	Under the women Empowerment programme 110 women trained for Sewing and embroidery Handicraft items out of which 13 women started their own centre and working as master trainer. Mandates: •	Conducting "On Farm Testing" for identifying technology in terms of location specific sustainable land use. •	Organize training to update the extension personal with emerging advances in agriculture research on regular basis. •	Organize short and long term vocational training cources and allied vacation for the farmer and rural youth with emphasis on "Learning by Doing" for higher productions on farm and generating self employment. •	Organise "Front Line Demonstration" on various crops to generate production data and feedback information. Establishment of KVK Shahdol: 1994 Since inception of KVK conducted 66 OFTs (708 farmers), 113 FLDs (1000 farmers) and 892 training programmes (20040 farmers) in the District. Major crops in Kharif is Paddy followed by Maize, Soybean, Urd and in Rabi Wheat, Gram Mustard etc are the major crops. Under paddy cultivation total area is 1.47 lakh ha and average yield of paddy is 13 qtha. KVK Shahdol started SRI in 2007 with 8 ha and 10 farmers. Today (2010) total area under SRI is 12000 ha with, and crop production has increased double. 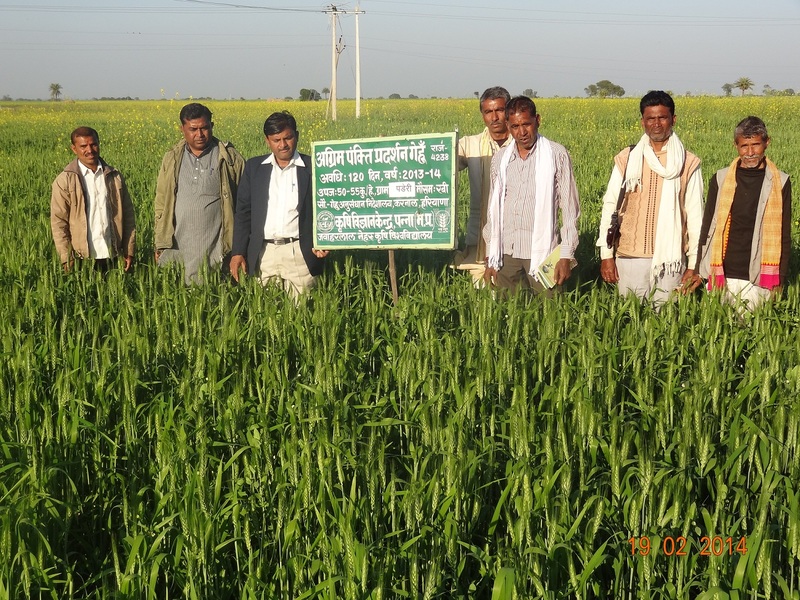 KVK Shahdol has designed and developed a Farm Implement “Jawahar Paddy Plant Marker” for SRI. In Soybean KVK Shahdol introduced several new varieties of Soybean JS 75-46, JS-335,JS 95-60, and JS 97-52, in Gram JG-315, JG-130, Vijay, JG-11 and in Urd JU-3, PDU-1, PU-19, PU-35 etc.KVK Shahdol introduced Soybean in year 95-96 with variety JS 75-46. Before 95-96 area under Soybean was only 3479 ha and average yield was 5.26 qtha, after replacement of varieties and other technologies, the area has increased to nearly 7000 ha and present level of productivity is 11qtha. In Urd, YMV was the major problem for Urd cultivation theeby the area was decreasing year after year. KVK has conducted different trainings and educate the farmers in details about different diseases and its pest control measures. 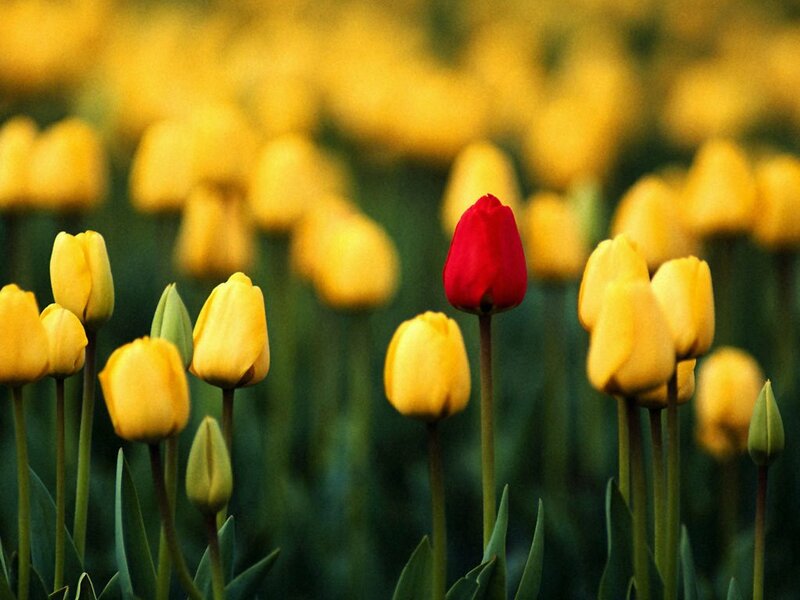 KVK introduced new variety PU-4 in the district. Cultivation area of Urd has increased from 17115ha to 20000 ha and productivity 2.2 qtha to 2.8 qtha. 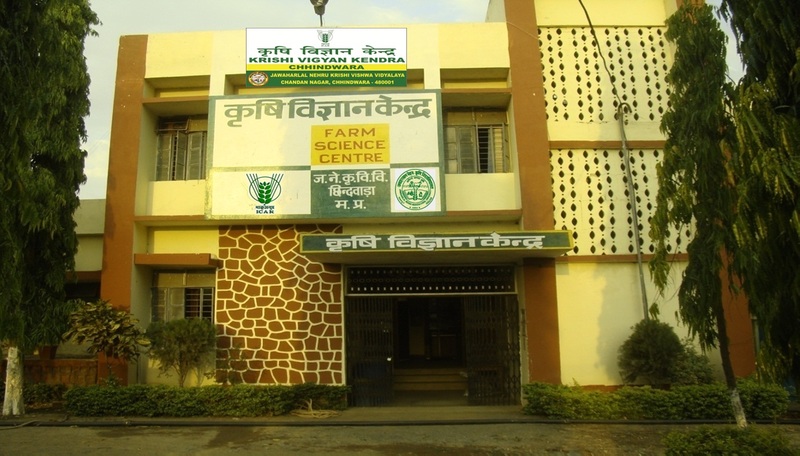 Krishi Vigyan Kendra (KVK) is a noble concept developed by Indian Council of Agricultural Research (ICAR) which was rest upon a solid base of transfer of technology from laboratory to farmers field with respect to Agriculture, Horticulture, Animal Husbandry, Floriculture, Bee keeping, Mushroom Cultivation, Broiler Farming and allied subjects. 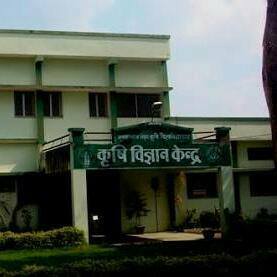 Krishi Vigyan Kendra, Sidhi was granted by the Indian Council of Agricultural Research, New Delhi to JNKVV, Jabalpur in the year 1994. This KVK comes under Kymore Plateau and Satpura Hill Zone which is characterized with undulated topology with low soil depth. It forms the northeastern boundary of the state. Sidhi is well known for its natural beauty, historical importance and rich cultural roots. Sidhi possesses abundant natural resources with the river Sone draining the district and with coal deposits which feed major industries across the country. 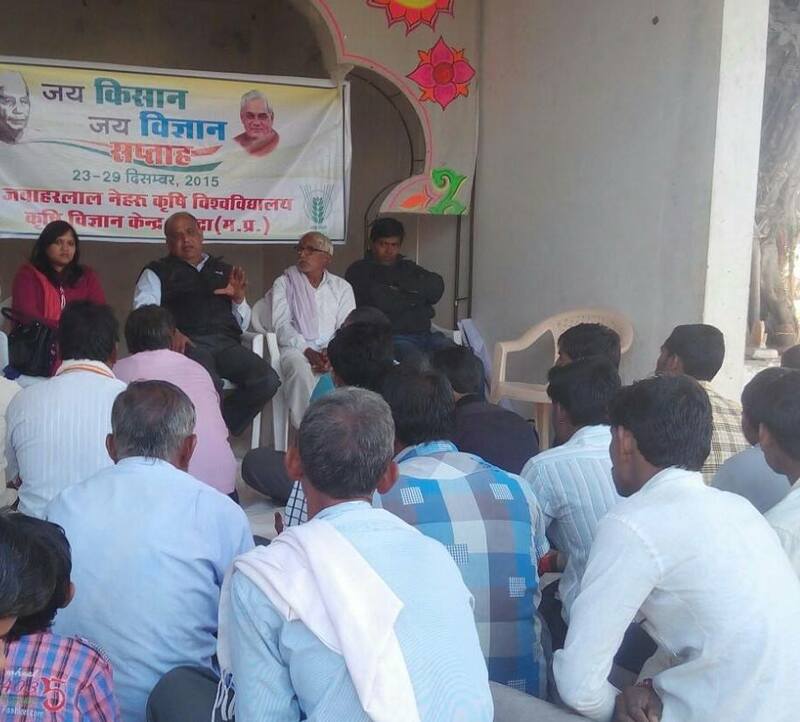 Krishi Vigyan Kendra (KVK), Singrauli was established in the year 2017 funded by ICAR with the aim to transfer the agricultural technologies for cost effective enhancement of agricultural production and to empower the weaker sections of the society for livelihood security. Besides the immense contribution in socio economic upliftment of peasants, provided vocational trainings not only in agriculture but also in other self reliant, income generating activitiesenterprises such as tailoring, candle making, fruits and vegetable preservation. Innovative programmes like e-linkage, kisan mobile sandesh, crop cafeteria, technology park, meadow orchard, adoption of SRI in paddy the area of scanted rice in Hoshangabad approximately 1.3 lac ha and farmer use of ridge and furrow system of planting in soybean, SMI in mustered agriculture productivity of mazor crops like paddy, soybean, wheat, gram etc. The Singrauli district got 1st price in wheat production productivity from last Three year in India. welcome to Krishi Vigyan Kendra Umaria K.V.K. Umaria has started during 2007. 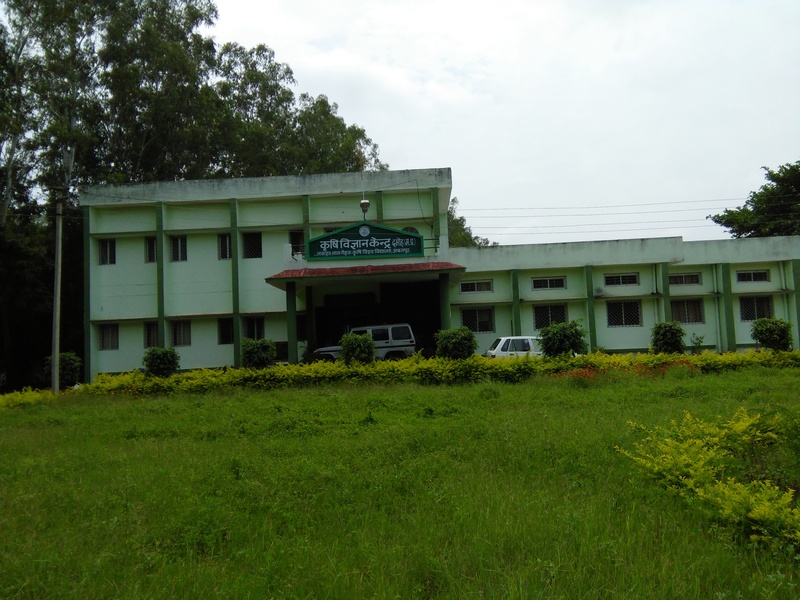 It is located under Agro climatic Zone III i.e. northern Hills Zone of Chhattisgarh and popularly is known for Badhavgarh National Park. Topography of this Distt. is hilly and undulated. The geographical area of distt is four lac fifty thousand ha out of which 53% area covered by forest and 24% covered by cultivable land . The remaining area (8 %) of waste land . It is a tribal distt. and have 48.20% scheduled tribes out of the total population (4.33 lac). Major soils of the distt are red and yellow (50%) followed by sandy soils (26%) and Red mix black(24%). Average rainfall is 1374mm. Major cereal crops of the distt. are Paddy (44000 ha) followed by Maize (40600 ha) and minor millets (18800 ha) of kharif and Wheat (26200 ha) in rabi. Major pulse crops are pigeon pea (5100 ha) and Urd (3000 ha) in Kharif while Gram (5900 ha) and lentil (5300 ha) of Rabi. Major oilseed namely sesame ( 2400ha) and linseed (3700 ha) are also grown but Mustard (7500 ha) and soybean (50 ha ) crops are the new introduction . Major fruit crops are Mango, Guava , Aonla and custard apple in vegetable crops Tomato, Potato Brinjal, Chilli are grown (Area 684 ha) . The fertilizer consumption of the distt is too low (NPK- 21.8:15.5:1.32 kgha) i.e. total 39.02 kgha and seed substitution rate is 3.27%. The irrigation facility is only in 18% area .The crop intensity is 129%.